ZSL conducts, encourages and facilitates scientific research that will assist in advancing the ZSL Vision and Purpose. ZSL London and Whipsnade Zoos present a unique opportunity to study species and aspects of their biology that are difficult or impossible to study in their natural habitat. Evidence-based research provides greater understanding of the lives of animals which can subsequently be applied to conservation action and inform best practice animal husbandry and welfare. Research activities can include behaviour observations, use of biological samples and animal record data, visitor surveys and the development and validation of techniques that can be used in the field to support conservation efforts. All research is subject to strict ethical standards. ZSL offers opportunities to undergraduates, MSc and PhD students, as well as professional researchers. We also work in collaborative partnerships with other zoological and academic institutions. Researchers and students wanting to conduct a project at the Zoos or collaborate with ZSL should read the ZD Research Policy and fully understand the terms and conditions before completing a Project Application Form and submitting it to us at zdresearch@zsl.org. 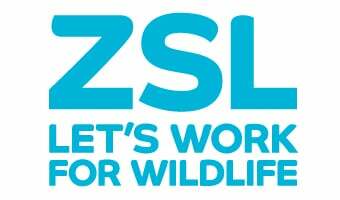 All researchers conducting their projects on site are required to join the ZSL Fellowship. Students are also advised to visit the research section of the BIAZA website which provides a number of resources to assist with project planning, the BIAZA Research Handbook is particularly useful. Make sure to read and fully understand the ZSL ZD Research Policy before submitting your application to us.